When is a Tire Recall Necessary? In February of 2012 KHOU.com reported that two young people had died in a fatal car accident in August when they were driving a Ford F-150 truck. The youths were on their way back to school when the tread came apart on the front right tire of the vehicle. As a result of the tread coming apart, the pickup truck began to skid sideways and then rolled over, killing its 21-year-old and 18-year-old passengers. In response to the incident, Goodyear Tire & Rubber Co. recalled 41,000 tires that were used on SUVs, vans and pickup trucks. Although the accident happened in August, it was not until February that Goodyear Tire & Rubber actually recalled the tires. The tragic accident raises some important questions on when a tire recall should occur. Our Boston injury attorneys believe that car manufacturers can and should take swift action if there is a potential danger associated with their tires. It is always better to err on the side of saving lives and car manufacturers should act promptly to make sure that they institute a recall as soon as they know there is an issue. Following the August 2012 accident, Goodyear took action and instituted their recall because there was a chance that a small number of tires could tear and cause an accident. However, Goodyear did not act immediately and remove the tires from the market in August when the accident happened. Goodyear decided to recall the tires on February 16 and made plans to send notices to their customers about the recall by March 22. Goodyear also limited the recall to only tires made during a 13-week period between March and June of 2009. Only six sizes were included in the recall. When writing a letter to the National Highway Traffic Safety Administration (NHTSA) about their proposed recall, Goodyear reportedly said that only a small number of tires would experience problems and only under a severe usage conditions. Goodyear indicated that the reason for the delay in recalling the tires was because the tire company was conducting investigations of what had occurred. The results of this investigation may also have prompted Goodyear’s delay since they indicated to the NHTSA that they had discovered the tire had sustained damage from an external cause. Goodyear, therefore, may have been reluctant to take responsibility and to bear the costs of a recall, although they ultimately decided that the cost of a recall was better than the cost of warranty claims and potential lawsuits. Unfortunately, while a more than six month delay after an accident seems like a long time to wait before recalling a potentially dangerous tire, Goodyear had actually waited even longer to take action. According to KHOU, Google had first seen an increase in warranty claims and property damage claims relating to the tires in May of 2010. This was 15-months before the fatal crash that led to the death of the two young people. An attorney for the family of one of the young victims of the accident indicated that the crash might have been prevented if Goodyear had acted in a more timely manner once they started receiving property damage and warranty claims. Without this delay, if Goodyear had responded promptly to potential dangers, lives may have been saved. This accident, and similar incidents where people have been hurt by a failure of a tire manufacturer to announce a danger, all indicate that it is better for companies to err on the side of caution and to warn the public as soon as a potential danger arises. 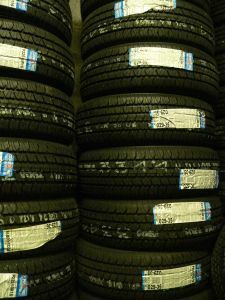 While companies do need to investigate to make sure that there actually is a link between their defective tires and the damages and accidents that are happening, these investigations should be swift and thorough and car manufacturers should take action as soon as possible in letting the public know of potential problems.